Brian Marshall was born on April 22, 1973 in Fort Walton Beach, Florida. He started out his music career by playing his father's drums. He states that after scratching his father's drum set a few times, that his dad decided it was time to buy him a bass guitar. He cites Steve Harris, John Entwistle, Geddy Lee, Justin Chancellor, and Doug Pinnick as major influences. Due to his playing style, he soon developed the nickname "The Sloth." He is best known for being the bassist and founding member of Creed and subsequently Alter Bridge. 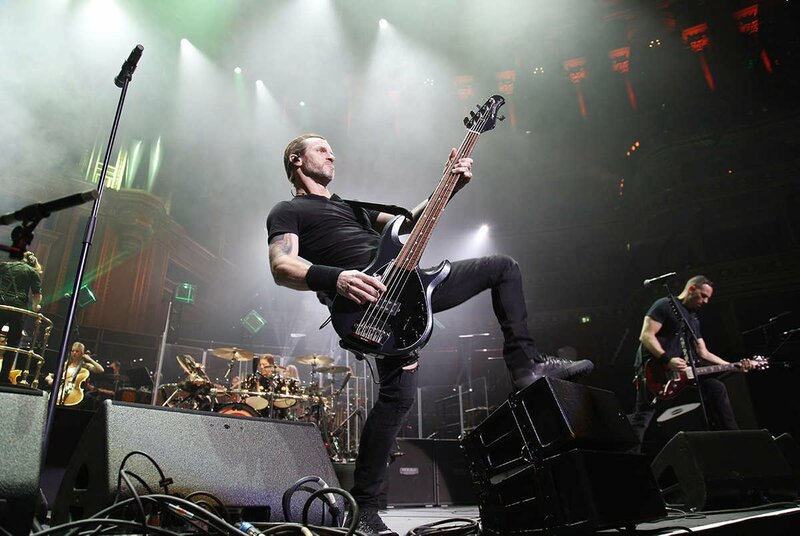 Brian chose Ashdown for the 2009 Creed Reunion Tour and has been using his monster ABM rig with Alter Bridge ever since.